I've always been a firm believer in giving people choices. Letting kids choose what they'd like to play with (within reason, of course), letting friends choose where they want to eat lunch, and even letting family members choose what to watch on tv. Oddly enough, however, I don't really give myself choices--especially when it comes to how I react in certain situations. Earlier today, this girl (I absolutely love her heart!) posted about choosing joy and turning the negatives in life into positives. And I know that that post was put on my heart for a reason. For a good reason, in fact. And yes, it really is another example that God's timing is perfect. Anyway, yesterday, I struggled with hurt and disappointment. I know, I know, we all have those feelings. Which is true and this is nothing to get excited over, but it happened. Except at that moment, I was choosing to be hurt, choosing to let that hurt tear me apart, and choosing to turn that hurt into anger. I could have chosen to turn the other cheek and let that hurt pass by. But instead, I let it dwell inside me just a moment too long. And that moment was an ugly moment. Not something that I'm proud of nor was it something that I wanted to feel or let control me. And it was after that moment that I decided to get up, walk away, and turn to God. Turn to good worship music, a little vacuuming (to cover up my singing), and a little time alone with Him. But it was during chore time I really felt my heart and attitude change. Singing and dwelling on a few lyrics reminded me that while I cannot change what others do, I have 100% control over how I act and react. I can choose my actions and feelings. And I am responsible for those choices, too. Best of all, I can choose God. I can choose joy, and I can choose love. So today, I choose joy. I choose to be happy. And I choose to praise God in any storm that may come my way. "The Lord is my strength and shield. I burst out in songs of thanksgiving." p.s. Want some printables to remind you of your choices? Here are three that I love, and here are some words to encourage you and here are some more freebies to print out this week. Ahhh!! Literally the SAME thing has been put on my heart all of today as well. I just finished working on a post about being hurt by others and choosing to react ONLY positively. I know exactly what you mean when you talked about "that ugly moment where you let the hurt dwell inside of you a little too long." I had a moment like that today too, and I know that is a moment God NEVER intended for me to have. Thanks for the encouraging post, love your blog, love your heart! Lemme know if there is anything I can be praying for you for!! That's crazy! It must be in the blog-water or something because I've seen it written on at least three other blogs now! :) I can't wait to read your blog and see what your take on this; it's definitely a great topic and it doesn't hurt being reminded to choose joy more than once. And I love your blog and heart, too! And thanks for the offer for prayer, know that the same goes for you, too! Anyways, loving your sweet heart here. I was having some of the same issues and hurting when I really should have been praying and spending time with God for security and happiness. Thankfully the Lord restores us and forgives us for turning from Him at first! He'll always be there with open arms! That's so crazy. Twins we are, girl! I think it's safe to say it's official now. "Choosing" must be the theme of the morning, eh? Thanks for this post, Kiki! Life's been pretty smooth around here lately, but often it's when things are GOOD that I need the most reminding of truth, so that I remember it immediately when things get rough again! I know, I'm pretty sure it is--I've seen it on at least three other blogs now! It's definitely a good topic and reminder, though! This is so great! 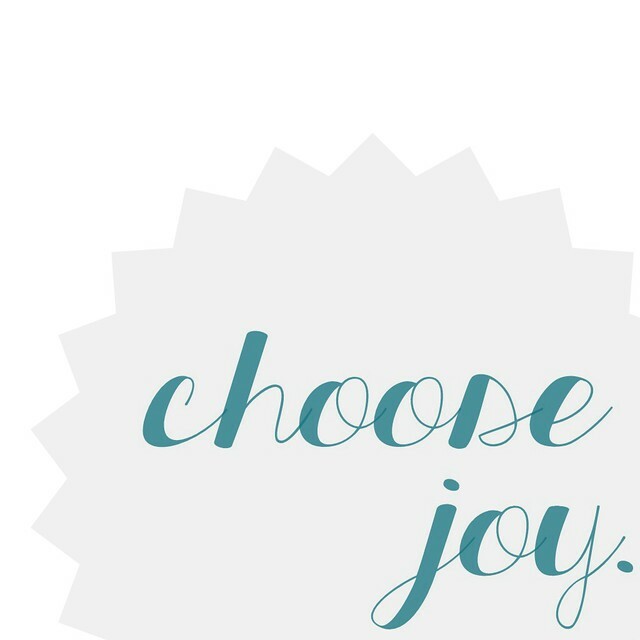 It is so important that we make a choice to be joyful! I think this is so true. It's definitely one of my bigger struggles. I feel like I'm constantly working on choosing joy and thankfulness over anger, irritation, frustration, you name it. It's definitely a matter of how you choose to take captive your thoughts or dwell on certain things. So easy to say- so hard to do! YES, it's SO much easier said than done! 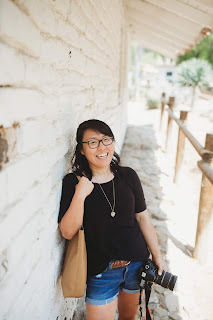 It's actually been quite a struggle for me and that's why I'm so grateful to not only have this post to remind me + keep me accountable, but to have other bloggers who agree with me and write about it as well. Love this post girl! And your heart. :) Thank you for sharing. I am actually in the midst of writing a post similar to this...and how beautiful it is that God works in so many different and intrinsic ways yet the underlying message is the same. I think there must be something in the water because tons of other bloggers have said the same thing! I can't wait to read your post--it's definitely something I need to read and re-read all the time. And amen to what you said--God works in so many ways. That's one of the things about Him that continually surprises me and leaves me in awe of how amazing He really is.